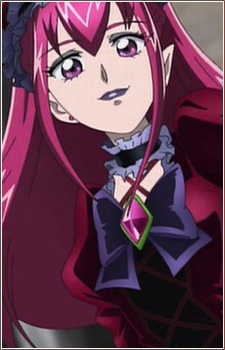 Dark Dream, Cure Dream's dark counterpart. She is Nozomi's past self when she did not know how to be happy with friends. She is the only one who survives the battle. However she sacrificed herself to save Cure Dream from Shadow, resulting in her life - the crystal - to shatter. She tells Cure Dream that she did it because she liked her, and dies as she claims that she still do not know how to smile, but in the end disappears while smiling.